How well do you know Jesus? 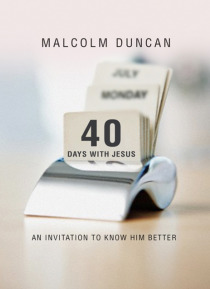 This little book of daily readings introduces you to the character and life of Jesus Christ. -My hope is that as you read, you'll discover, or will remember, just how central Jesus is to Christianity,- says Malcolm. -Jesus didn't come to establish a religion, he came to change lives and to deal with the barriers that exist between God and us. Unfortunately, we Christian… s are very good at boxing him in. He doesn't like boxes ' they feel a little too like tombs and Jesus has a tendency to refuse to stay in those. May you meet Jesus in a way that will change your life forever. - A short prayer accompanies each section.